Part of the Font Ketubot Series, this Ketubah brings modern art back to basics with a beautifully simple design, gorgeous color, and elegant calligraphy. Although the artistic design plays a big part in the Ketubah, the text is what truly conveys’ a couple’s love and important commitment to one another. 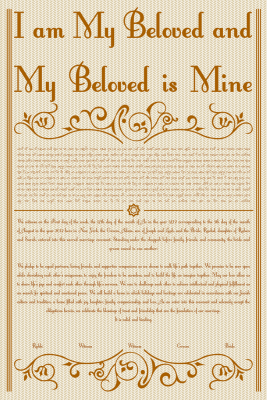 The Type Your Love Ketubah utilizes the significance of the text by integrating it into the design itself, creating a truly unique and meaningful Ketubah. The Type Your Love Ketubah exhibits a light chevron background that compliments the burnt orange color beautifully, truly bringing out the boldness of this design. The elegant twisting design framing the overall text adds just enough romance and style. 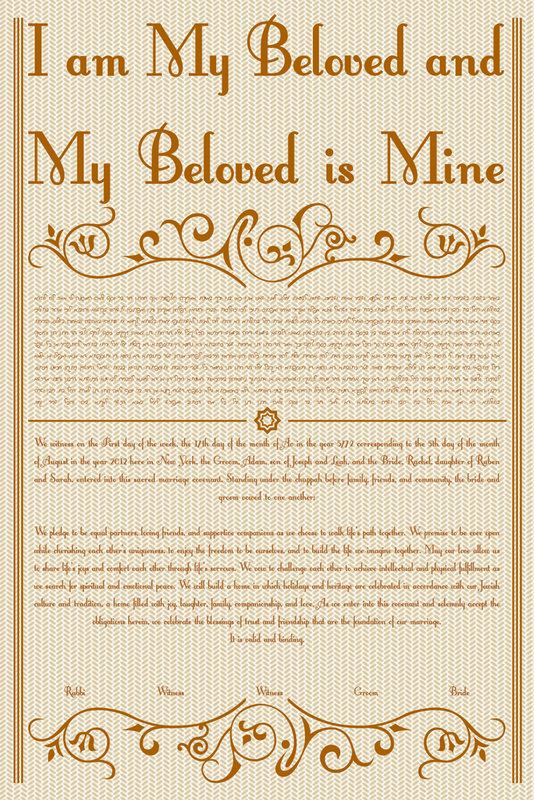 This Ketubah will be a beautiful expression of your love and relationship with the classic, but significant vow “I am My Beloved and My Beloved is Mine” or “Ani L’Dodi”. See our entire "Font Series" Ketubah collection here!